How we choose to remember our cats is a very personal matter. Some people prefer to focus on the happy times they shared and others feel they want a physical tribute to honour their cat's life and help keep the happy memories alive. 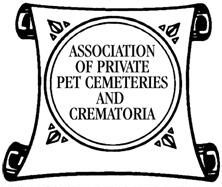 Rest assured that I only use cremation services that are members of The Association of Private Pet Cemeteries and Crematoria so you need never worry about your cat being treated with anything other than the care and respect they deserve in both life and death. Scattering or burying ashes in a location special to you and your cat. A memorial box or urn - their a variety of different tributes/memorials for indoor or outdoor use, one may fit your personal taste more than another. I have a longstanding and close rapport with Dignity Pet Crematorium - I visited them twice in one week in July 2013 with my elderly cat Jasmine and my beloved brown retriever Arthur who lost his battle with cancer. I can most sincerely and wholeheartedly recommend their services. Rather than a private/individual cremation, your cat's ashes are not returned. In a communal cremation several pets are cremated together and the ashes are placed into a memorial area at a pet cemetery. This is a more economical option than individual cremation, so if funds are limited it can be a more appropriate choice. 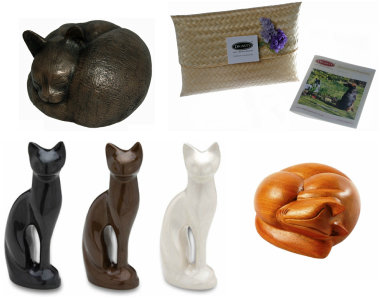 It is also an option for owners that would prefer not to have ashes returned to them and are more comfortable remembering their cats as they were in life. Not many crematoriums are offering genuine communal cremation but Chestnut Lodge Pet Crematorium do. Even though they are based in West Sussex, they have kindly agreed to come out of their way to provide this service for my clients. This was always the final resting place for all of our many family pets, but digging a grave is not emotionally or physically an easy task. 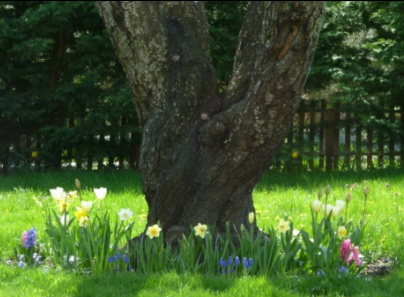 Current legislation allows pets to be buried either in the property where they last lived or in a licensed pet cemetery. Before deciding about burial think about whether you would feel upset if you wanted to leave the property at a later stage. Burial in a designated pet cemetery can help overcome this issue. If you would prefer to have the option of always having your cat at home with you (wherever that may be in the future), then cremation may be a better option. Please read more about how to carry out a home burial for your cat.